The planning of my next Striper trip or reminiscing ones past is an obsession that so often carries me through the grind that is modern mans current definition of reality. The stress, the drama, the boredom, insincerity and deception are more easily endured. Somewhere between preparing the gear and the road trip itself I am simultaneously removed from and brought back to something simple, true, and fulfilling, on a basic, perhaps prehistoric level. The clearing of mind and shedding of weight morphing to pure thought, anticipation and absolute oxygenated intensity. By the time I near my destination I often find myself on the edge of the truck seat, leaning forward, arms over the steering wheel trying to control that tweaked anticipation. Park the truck and slow down, double check the gear and study the situation. This is the time that if I fail to channel my energy I’ll be stepping on fish while beating the water to froth. Now is the time to tap intuition for the oceans are big and the options are many. In a lifetime of fishing we catalog more information than our spoken mind can compute. In the unspoken mind exists the genius in action untethered by second thoughts. Where today will take me I do not know. It may be a hard working slow day leaving me contemplating lessons learned or perhaps considering my time on the water as points earned towards a hot day of fishing. Perhaps in a Zen like state, brought on by the rhythm of the cast and the awe of nature’s beauty, I for a time will achieve humility. Truth is that today all alone here in the freaking Atlantic I am hoping for an absolute frenetic bloodlust that courses so much adrenaline through my veins that my saliva tastes like battery acid. - Peter C. Viviano Jr..
One could argue that Lefty’s Deceiver and the Clouser minnow, the finest of patterns by the finest of men, in a couple of profiles and colors could get the job done, and it certainly could, but as a tier of flies it’s just not enough. The study of bait and the tweaking of patterns to local conditions are at times for me as important as catching fish. To match, exaggerate, or oppose the hatch while finding intellectual argument for it may seem like mental masturbation, but it’s still fun. Matching the predominant bait is not always necessary although it is the best place to start, besides there is a certain satisfaction in identifying the local forage, tying on a specific fly and catching a fish. 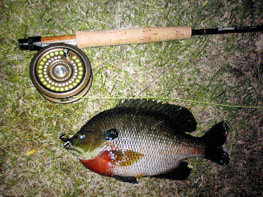 The importance of matching the hatch increases within the following conditions: proliferation of a single or preferred bait species, fishing to resident fish, water clarity, daylight, and duration of presentation. 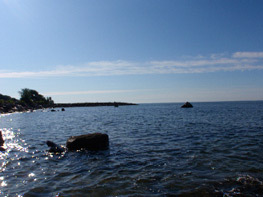 The most critical scenario would be clear water; little current and a single bait specie in large numbers i.e. Sand Eels, Anchovies, or Peanut Bunker. Fishing a rip within sparse forage is of course far less critical as is stained water although it has it’s own obvious challenges. 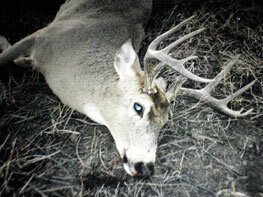 Early spring feeds and fall blitzes are usually within reason pretty simple affairs. The most frustrating situations are worm hatches, crab hatches, or multiple small baits within an estuary or backwater. As most before me, I start with profile in fly selection and often find it to be the most important decision. 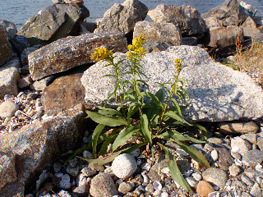 Color should match or perhaps stand out a bit against the forage. Consider light conditions, water clarity, and bottom color when choosing your fly. 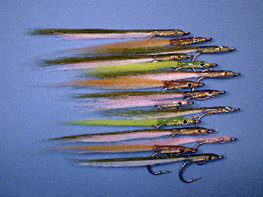 In low light start out with darker colors, in turbid waters try chartreuse, and on the flats try matching the bottom colors. While on the subject of color a note about flash is certainly warranted. 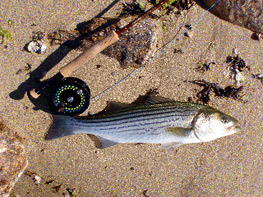 Blues and hard tails seem to love it, but in my opinion stripers especially on the flats can be put of by its overuse. The pattern chosen should take in large consideration the desired presentation. Where in the water column am I trying to fish? 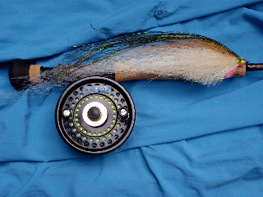 Does my fly need to breathe as is often required in dead drifts and slow retrieves. Should I be weed less? Do I want a jigging action or to suspend on the pause. The process of picking the right fly is muddy at best. Was it color, silhouette, or presentation that brought success? Did I get an honest refusal before switching flies? How often do we switch patterns while catching fish just to see if another fishes better or worse? Truth is for me not as much as a fly freak should. In comparison to your angling partner don’t forget that his or her presentation, retrieve, and there fly line / leader is an additional variable, and should be considered before switching flies. 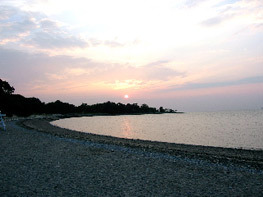 The greatest variable is the environment itself, current speed/direction, light conditions, and water clarity constantly changes in salt environs. The decision to stick with or change your fly pattern should within reason be based on your faith in the fly. In any demanding fly-fishing situation maintaining passion, focus, and optimism are paramount to success. Sincerity in retrieve is as important as size, color, and profile. So whether it’s the process of pattern selection, your faith in a fly, or paying homage to those that fished before you, sometimes it’s all about the mojo. 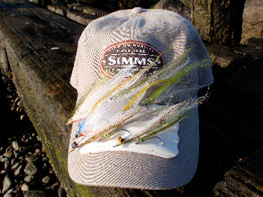 Pick the right fly, Peter C. Viviano Jr.
After enough time on the water most decisions become intuitive, when I try to write it down I often feel the words are not all mine and I’m sure there not. I read everything I can, here’s a super short list in case you’re just getting started. Sometimes it’s a bluegill on a slider, a bass on a hair bug, or even a trout on a streamer, but when I think of a strip strike it’s usually a striper, a bluetooth, or a hard tail. I’m salted big time and stripers are my drug of choice. Yea I have the latest graphite, and the slickest reels, but what I basically do is hand line fish with fur and feathers thoughtfully, artfully lashed to barbed steel. I present my fly stripping with calculated inflection in an attempt to elicit life in my offering. Suddenly what I’ve hoped for, even expected, surprises me as it always does, the flies progress is halted. That magic moment of pure connection to something alive, you feel electric. I’m tied to 15 lb. tippet so I hold that strike a lustful extra nanosecond, crossing his eyes, feeling his weight, letting him know he’s hooked. The stretch is gone the hook is flexed and you reluctantly give him the rod clear the line and get on the reel. I dropped a weeks pay on the best cork drag, but it’s set light, just enough to prevent overrun. I like to feel the reel applying my own pressure tempting the handle as it whirs passed my thumb. Sometimes I put the pressure right on the line just short of burn like dancing fingers through a candle’s flame. I keep most of the rod out of the fight I want to feel the bend right to the cork and hear the creak of the rod. You have to fight them all different, big stripers need lots of pressure switching sides to keep them working unless your in the rocks, then you may need to fool them letting off pressure to stop them from digging and lull them in. On board Hard tails are best left to run long the first time so they don’t fight under the boat, you almost always have to “unscrew” them anyway, but too much of that is monotonous. Blues are stubborn headshaking pit bulls just put the wood to them and out stubborn them. Regardless of specie or size or ensuing battle nothing is quite like that initial moment of contact. Whether confidence is rewarded or doubts are annihilated that moment is a fresh and immediate influx of pure energy. The strip strike is a tantalizing moment of jubilation and promise, yet tentative because it marks the beginning, an exclamation point that starts a sentence. Whatever we catch we owe it to the fish to land her as quickly possible for healthy release. Thank you for crossing my path today and joining me to complete the circle of life. For one single moment on this day I have bested you and loosed my arrow on true flight. I say this humbly, as your keen senses, stealth, and swiftness of foot leave me in awe and more often then not, defeated. I make these promises to you; to celebrate your spirit through the flesh you have provided my family, to hang your antlers high in my home and tell those that gaze upon them of your courage today, and to tread lightly in the wilds that are your home. We are both old warriors and my day will come, but till then I will remember this fine day that you crossed my path. I encourage my friends most of whom are far more talented than myself to send pics, essays, or quotes to help an old man out.